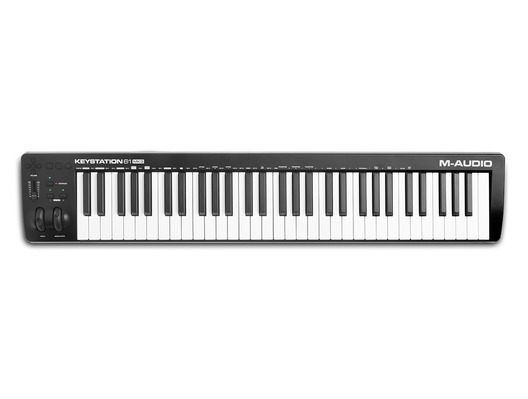 The M-Audio Keystation 61 MK3 is a USB-MIDI keyboard controller which features 61 semi weighted keys with a real, natural feel. 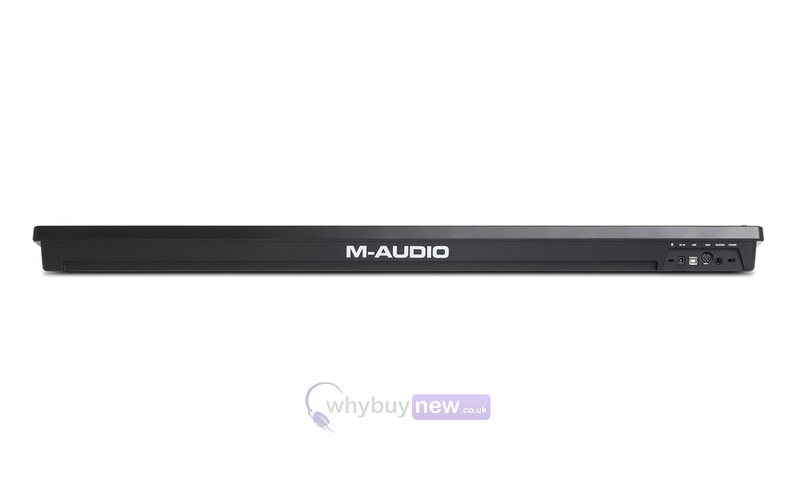 The M-Audio Keystation 61 MK3 is the new and improved version of the awesome Keystation 61 MK2 and is ideal for both beginner and professional music performers and producers. With it's incredible software bundle you'll be producing and playing your music in no time at all! Enter the world of unrestricted computer-based music creation and performance with the Keystation 61 MK3 keyboard controller from M-Audio - successor to the iconic Keystation 61 II. Whether youre a seasoned pro looking for just the right controls or are looking to get started with the right USB MIDI controller, the Keystation 61 MK3 is a simple, powerful MIDI controller designed for sequencing music and playing virtual instruments on your Mac or PC. 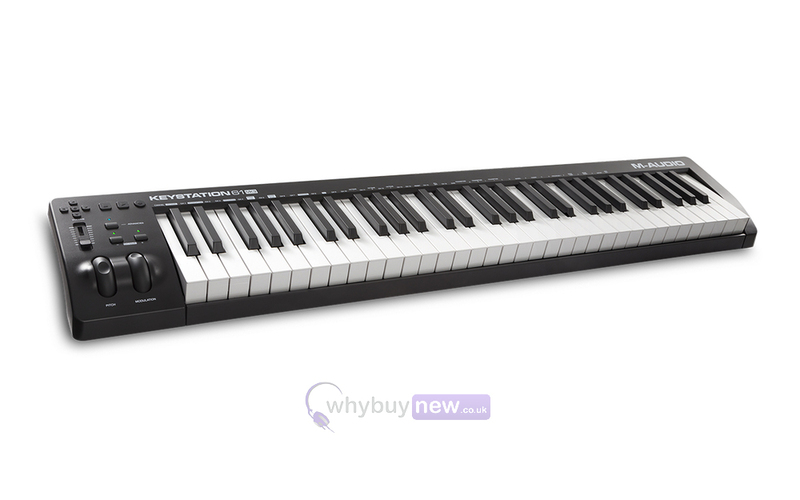 Keystation 61 MK3 features 61 semi-weighted full-size velocity-sensitive keys and comprehensive controls that expand the range of playable notes, expressive capabilities, and enhance your recording workflow. 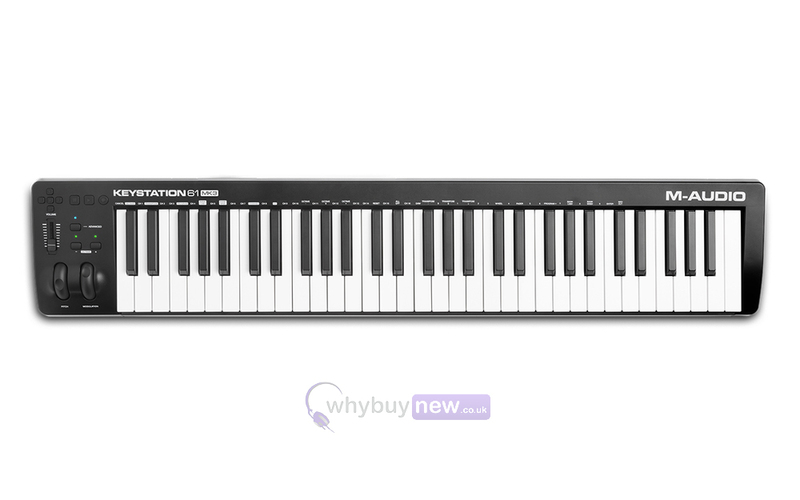 Keystation 61 MK3 provides all the must-have tools to capture even the most immersive, expressive performances. Use the fully assignable octave range buttons; pitch-bend and modulation wheels; volume slider, and transport and directional controls to play, perform, and record with your music software without using a mouse or trackpad. Keystation 61 MK3 also features a MIDI output and a 1/4 (6.3mm) sustain pedal input that lets you use an external control pedal, such as the M-Audio SP2 (sold separately), for genuine piano sustain. Compact, lightweight and durable, Keystation 61 MK3 is perfect for travelling musicians who want to take command of music software during live performances or for producers who wish to add an intuitive MIDI controller with a natural feeling keybed to their studioit easily satisfies both roles. For an easy-to-use and portable setup, Keystation 61 MK3 is USB-powered, class compliant, and supports USB-MIDI connectivity. Plus, Keystation 61 MK3 supports iOS connectivity with the Apple Lightning to USB Camera Adapter (sold separately), enabling you to perform and compose with audio apps on your iPad and other iOS devices. Your production demands nothing but the best! Thats why our third generation of Keystation controllers come loaded with pro grade virtual instruments from leading developer AIR Music Tech. From the contemporary Xpand!2, loaded with an ultra-intuitive UI and thousands of premium patches, to the sultry vintage e-piano sounds of Velvet and faithful piano tones of Mini Grand, you can be sure, whatever your performance demands, the Keystation MK3 Virtual Instrument series guarantees to meet all your expectations with immediate creative potential right-out-the-box! Here we have the M-Audio Keystation 61 MK3 in new and manufacturer refurbished which will come boxed 'as new' with a 1-year warranty. Buy this amazing Keystation 61 MK3 with confidence with 100% satisfaction guaranteed or your money back! Dimensions (W x D x H): 995 x 189 x 68 mm / 39.2 x 7.44 x 2.68"